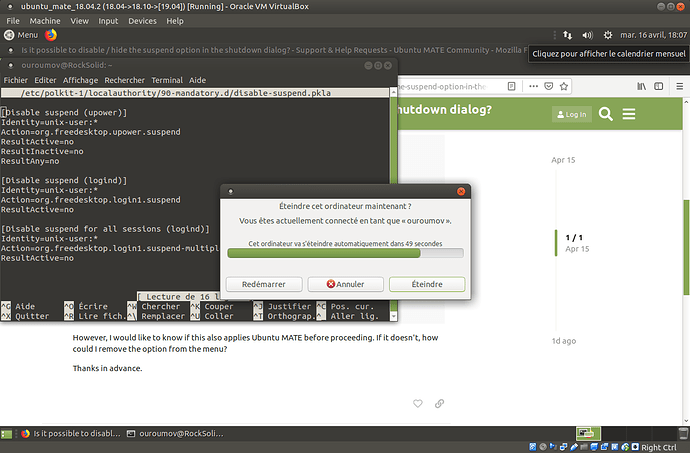 Is it possible to disable / hide the suspend option in the shutdown dialog? 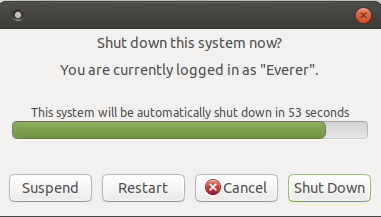 However, I would like to know if this also applies Ubuntu MATE before proceeding. If it doesn't, how could I remove the option from the menu? I just tried it in a VM I'm using for testing stuff and it works on 19.04. It works in Ubuntu MATE 18.04.2 LTS too, which is the version I have installed (I forgot to mention it). Thanks for testing it, @ouroumov .